Give your Drivers and Office Staff a premium experience with our independent third party verified electronic logging devices (ELDs) registered on the Federal Motor Carrier Safety Administration (FMCSA) website. Annette Sandberg, former Head of the FMCSA, verified our ELD software completely matches every test case and confirmed we met every requirement. We sell only durable products specifaclly designed and tested for fleet vehicles. Save time, reduce stress and make your life easier with our flexible fleet tracking solutions designed for any asset. With our futuristic tracking technology easily observe where your assets are and what they are or have been doing. We give you the tools to manage your fleet and its performance. iGlobal fleet management products have been tried, tested and proven by leaders in the trucking transportation industry. Tri-State Expedited Service installed the iGlobal iVision X.5 GPS tracking device on trailers to accurately track freight locations during transit. Learn how drivers scanning at customer’s receiving docks improved R+L Carriers invoicing accuracy and decreased costs nearly 30%. Read how Paramount Freight implemented iGlobal products to automate eLogs, track vehicles, and reduce inspection time. Watch the latest iGlobal product, training and informational videos. Subscribe to the iGlobal YouTube channel to automatically receive video updates. 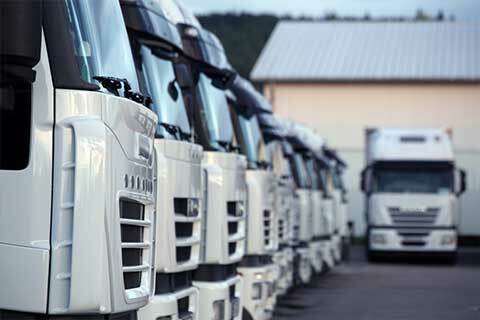 Learn more about how iGlobal Fleet Tracking can work for your business. Yes, sign me up for the latest news on fleet tracking software and regulations.